It's October! 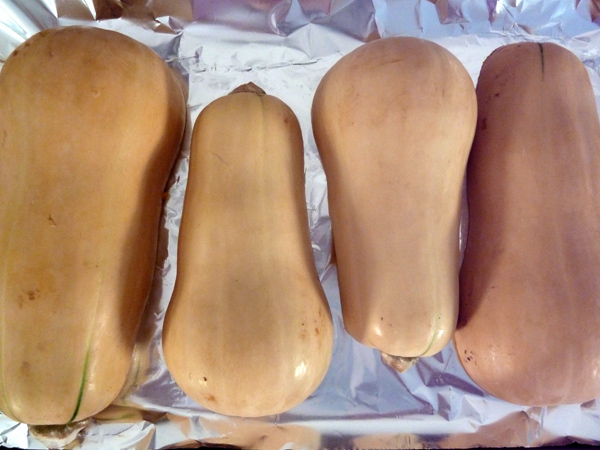 And though it's actually pretty warm here in the bay (hellooo summer), I bought some butternut squash to attempt to cook. Well, actually, Sak bought some squash, but he bought the wrong kind (it's green? ), so I bought some more. I used this recipe from Allrecipes, slightly tweaked. 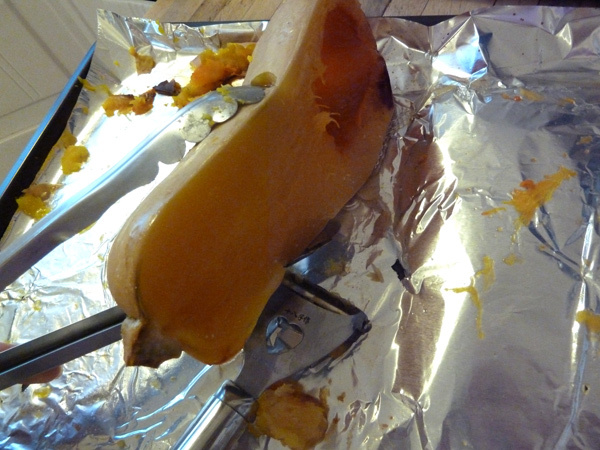 First, cut the squash in half, dump the seeds, and bake them face down at 400 degrees for about 40 minutes. 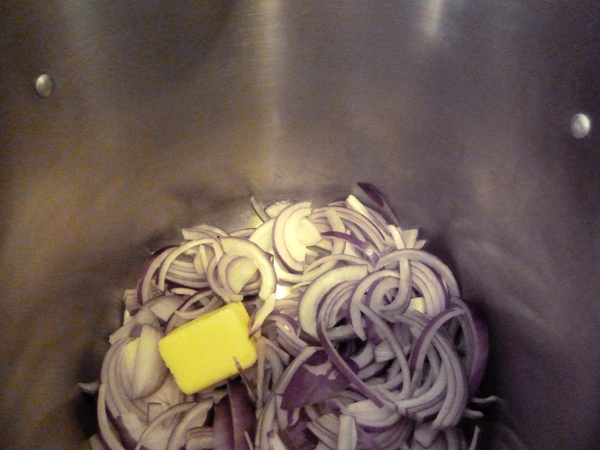 While they are roasting, grab a big pot and saute some onions in butter. I used purple onions, but I think a yellow onion would "melt" better. The squash should be soft and squishy when you take them out. I peeled/scooped out the insides. 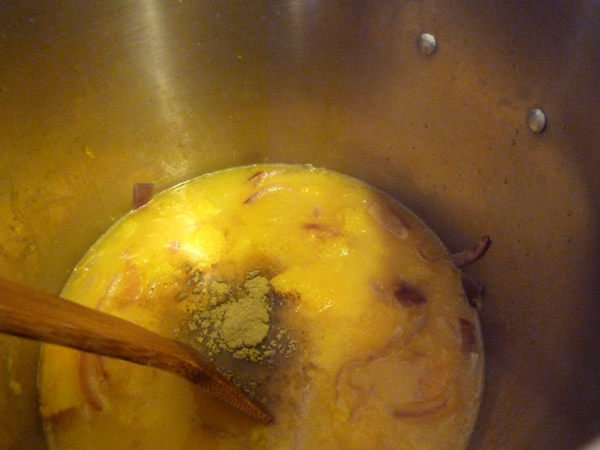 Add the squash to the pot of onions, and add the spices, water, and bouillon cubes. 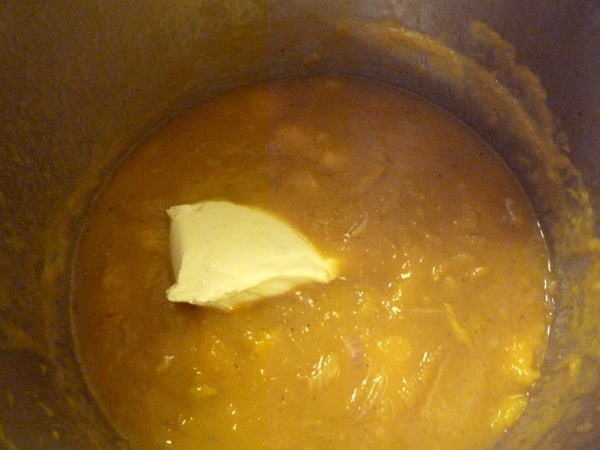 boil it to break down the squash chunks some more, and then add in the cream cheese. Blend blend blend! I used a hand mixer, and not very long, so it wasn't perfectly creamy, but it was pretty close! 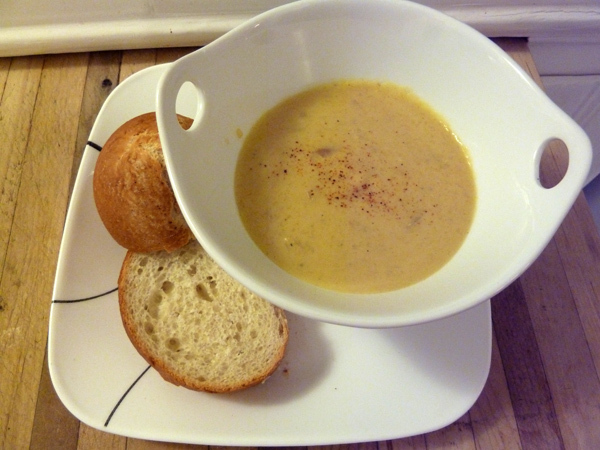 This makes some really good - but really rich - butternut squash soup! If it's too thick, add more water and omit some of the cream cheese! Excellent with some warm sourdough bread..mm mm! Have you kicked off fall yet? You can also sub the cream cheese w/ evaoporated milk. (some recipe call for heavy whip which screams fat, but evaoporated milk is balanced option of taste and health I think) I would roast some whole pieces garlic with the butternut to give it more flavor. ooh, that's a good idea. I'll have to try that next time since evaporated milk is much lighter! 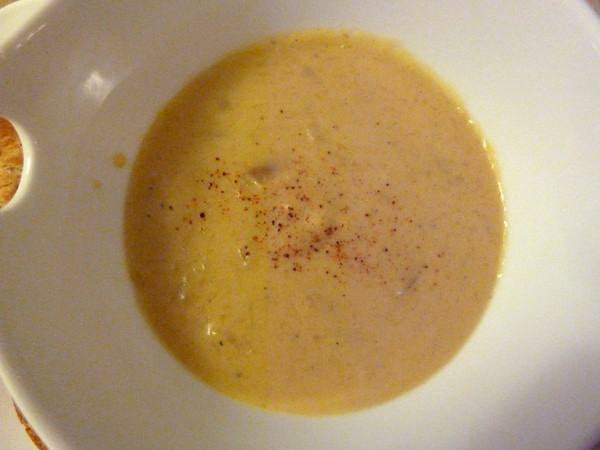 yea you can sub pretty much all cooking cream sauce recipe with evaporated milk in place of heavy whip cream. I think it wouldn't work w/ pastry/bread/dessert though.